At Polishing Corporation of America, we provide thin film deposition services such as thermal oxide wafers, Stoichiometric LPCVD, Low stress LPCVD, sputtered films, and evaporated films of various metals deposited to close tolerance thickness. Our thin film disposition services occur through physical transfer of material (i.e., thermal evaporation and sputtering) from the source to the substrate. The chemical composition of deposited material is not altered in the process. At PCA, we’re committed to your unique deposition requirements. 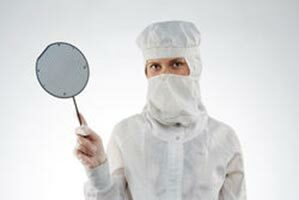 In addition to thin silicon wafers, we can create customized multi-layer films to fit your unique needs. Our turnaround rate is typically just one day, and we ship to companies and engineers around the world. Contact us today for thin films made to your specifications. © 2019 Polishing Corporation of America, All rights reserved.